As in years past, there will be a New Year’s Eve festival in Tulum, Mexico. 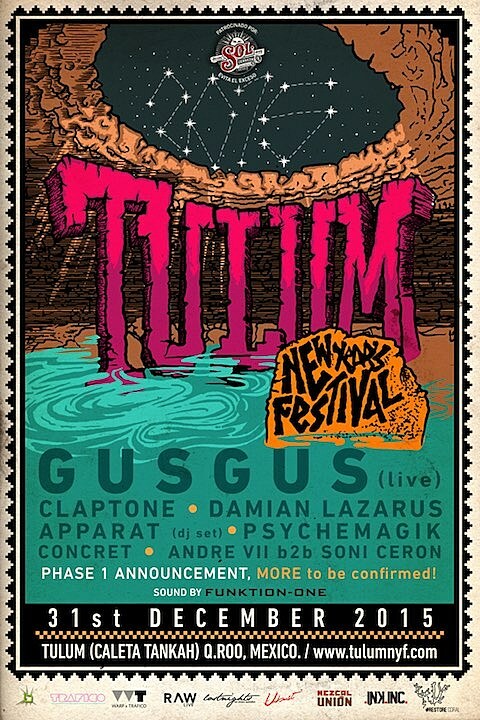 This year’s lineup features Icelandic band Gus Gus, plus Claptone, Damian Lazarus, Apparat (DJ set), Psychemagik, Concret, Andre VII b2b Soni Ceron and more still to be announced. Tickets are on sale now. In addition to the main NYE festival, there will also be an opening party on December 29 and a closing party on January 2, details still TBA. A week after that festival, XLR8R is throwing a festival in Tulum on January 6 with Mike Shannon, Dewalta, Blond:ish, Dauwd, Deadbeat (live), Rebolledo, Rob Garza of Thievery Corporation, Clovis, Roam, and TBA guests.